Cross contamination is a serious issue in the kitchen. It is very important that different ingredients be kept on separate boards when prepping meals, especially for people who have allergies. 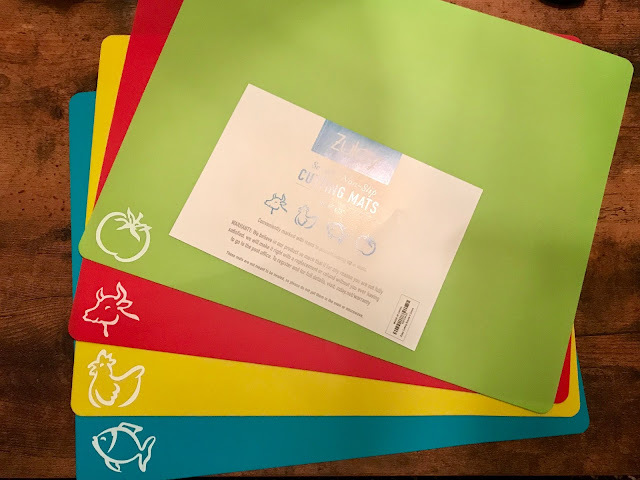 Zulay has thin, large cutting mats that have non slip surfaces and are clearly market by food type to help aid in minimizing cross contamination in the kitchen. Each board measures 12 x 15 and come in 4 colors that represent different food categories. Here are other ways to avoid cross contamination in the kitchen. 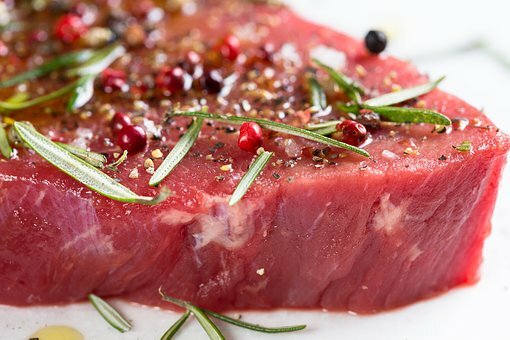 Always keep raw meat separate from other groceries. This should be done in the grocery store, and the refrigerator. Meats should be sealed in plastic zip bags so that their juices do not come into contact with other foods. 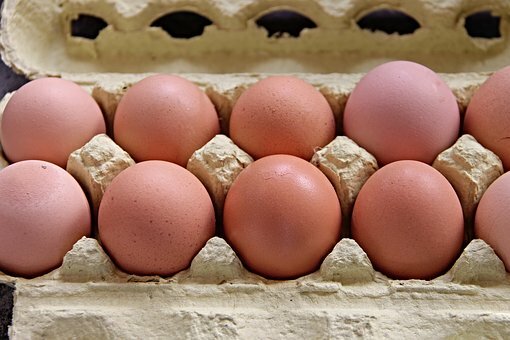 Always store eggs in their original carton and keep them refrigerated. When preparing foods, wash your hands often. Also, be sure to keep all surfaces clean and wiped down. This should especially be done after handling raw meat. Clean any spills with hot soapy water and dry thoroughly with paper towels or a clean cloth. Once the cloth is used, it should be placed in a hamper to be washed and not come into contact with any other surface until after it is washed. Hot water should also be used to clean any surfaces that were used for food prep and serving. This includes cutting boards, plates, counter tops and utensils. As stated above, always try to use separate cutting boards when preparing food. Raw meat, fish and chicken should not come into contact with each other or with any other foods you are prepping. Replace any worn cutting boards that have slice marks or crevices that can hold bacteria. Always do your food marinating in the refrigerator. Also, always boil any sauces or juices that are used to marinate food before serving them. For produce, always make sure to wash your fruits and vegetables thoroughly. Remove outer leaves from lettuces and cabbages, or any other leafy vegetable. Try to keep your fruits and vegetable in a cool place. Avoid leaving them out on the counter for long periods of time. 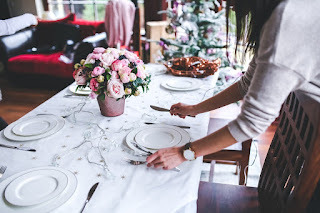 Always use clean plates and utensils for serving and feeding. Be sure not to put cooked foods on used plates or cutting boards that were used for preparing foods. You can learn more about food contamination and germs by visiting your state health department website. These are great tips and those mats are really clever. I would like to have a set myself!